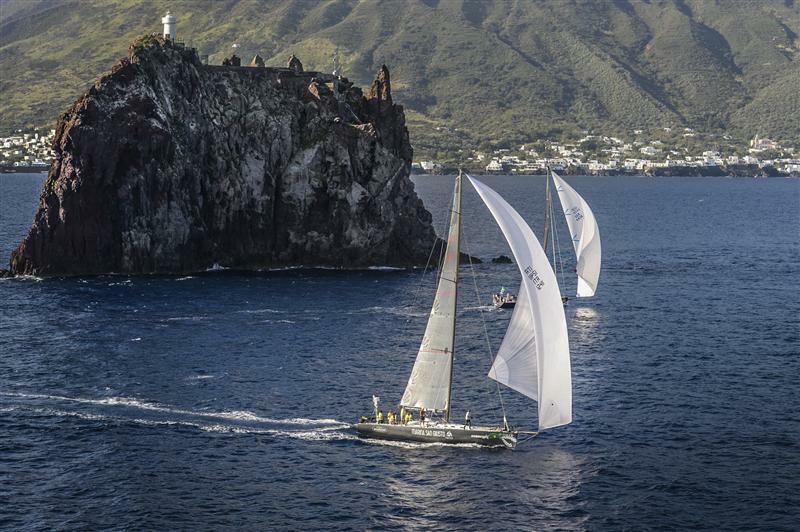 German Maxi Morning Glory continues to enjoy a narrow lead at the front of the fleet in the 34thRolex Middle Sea Race. At 11:00 CEST on Sunday morning, almost 24 hours into the race, Morning Glory was making steady progress along the north coast of Sicily. She was the first boat to round Stromboli at approximately 04:45 on Sunday morning. 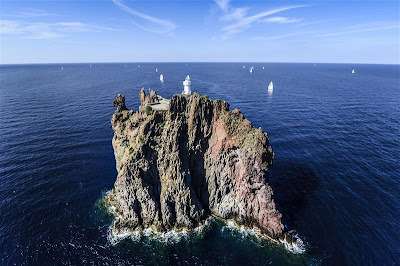 By 11:00 CEST on Sunday morning, 19 of the 99 competing yachts had rounded Stromboli while the bulk of the fleet was approaching the volcanic island having come through the Messina Strait. Having enjoyed a consistent run to Stromboli and negotiated the notorious Messina Strait without complications, the leading boats are now facing the first light patch of the race. Morning Gloryholds a narrow 3-nm lead over Andres Soriano’s 72-ft Mini Maxi Alegre (GBR). In close pursuit is the Italian Mini Maxi Robertissima III, skippered by Vasco Vascotto. 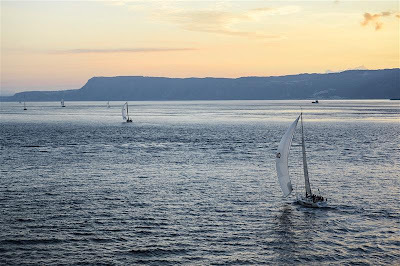 The leading boats are some 80-nm from San Vito Lo Capo on the northwest corner of Sicily, the virtual halfway point of the 606-nm course. Potentially the most tactically challenging part of the race is now ahead. 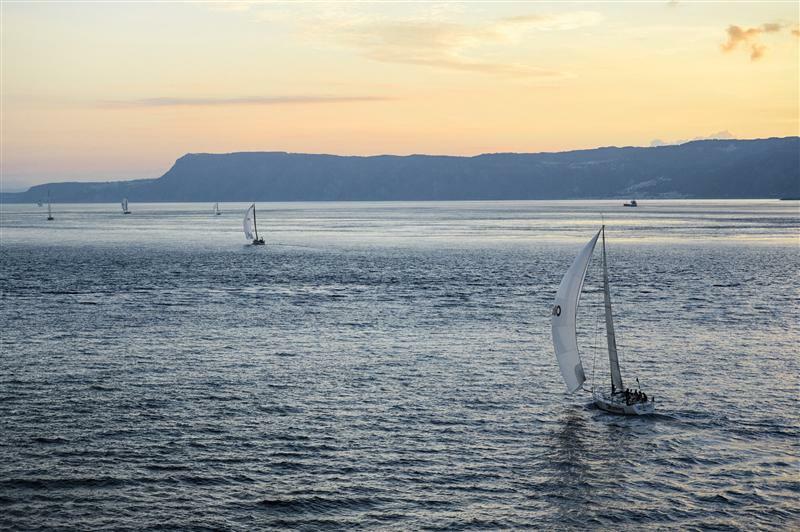 “We got good speed through the night until it got very soft before the Messina Strait. We stayed low and away from the Italian side where there was much less wind. 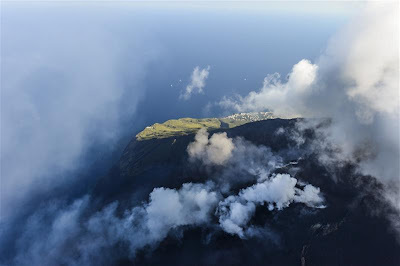 We went through at 10-11 knot,” explained Andrew McIrvine skipper of La Réponse (GBR), one of those boats now approaching Stromboli. 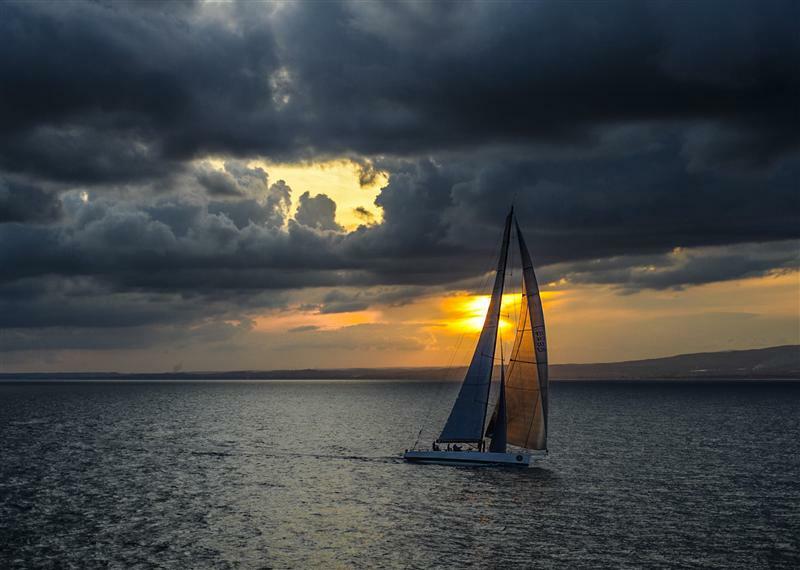 “This is always a very challenging race tactically. There are so many corners so you have to stay ahead of the game in terms of weather and course changes. 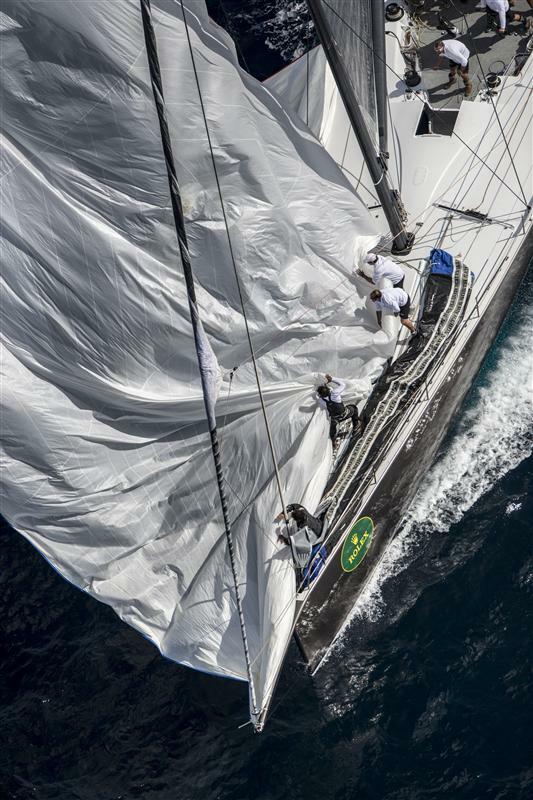 It’s about making sure we shift gears quickly and put the right sails up at the right time,” said Stuart Bannatyne, tactician on the 65-ft Botin Partners Caro (CAY), currently in sixth. The race record stands at 47 hours, 55 minutes and 3 seconds, set by George David’s American Maxi Rambler in 2007. To beat the race record, the leading boat must arrive by approximately 11:45 CEST on Monday morning.